The production and distribution of dietary supplements is an industry that has grown steadily. Yet, the oversight has remained almost the same since 1994. With the authority of the FDA limited by statute to removing supplements from the market only after reports of adverse effects, the role of pharmacists to intervene and assist patients with optimal product selection is vital. Although the DSHEA has been around for more than 20 years, the public has misconceptions about what it entails. This has a lot to do with the growth and prevalence of the supplement industry, which is projected to grow from $100 billion in 2013 to more than $260 billion by 2024.4 The appearance of supplement packaging and “dosage forms” frequently resemble those of the medications that have been proved effective and safe. Additionally, the supplements are located near these medications in stores, which may contribute to assumptions and misunderstandings about their quality. Many consumers do not know that a way to ensure that a product contains what it says and nothing more is to look for a verification seal from a quality assurance program, such as consumerlab.com, the National Sanitation Foundation International, and the US Pharmacopeial Dietary Supplement Verification Program. Products with these seals should be recommended to patients. Because of the legislative constraints on the FDA, consumers’ misconceptions, and the proximity to the patient, pharmacists need to triage existing and potential consumers. Making consumers aware of this issue can help cut down on preventable ailments resulting from the misuse of a dietary supplement or the use of defective products. Pharmacists’ knowledge of how medications, vitamins, and minerals affect the body, along with their ease of access to patients, makes them the ideal health care professionals to work collaboratively to ensure optimal outcomes of dietary supplement usage. Quentin J. Kenner is a PharmD candidate at the University of Kentucky College of Pharmacy in Lexington. 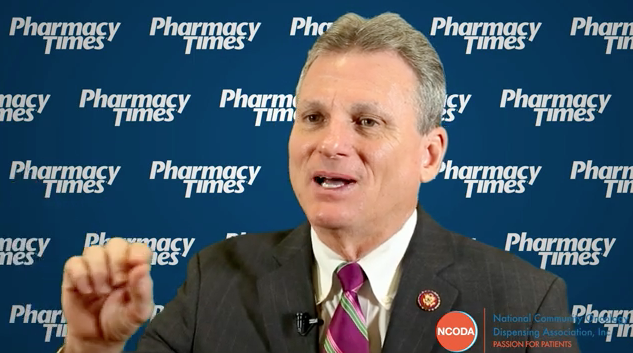 Joseph L. Fink III, BSPharm, JD, DSc (Hon), FAPhA, is a professor of pharmacy law and policy and the Kentucky Pharmacists Association Professor of Leadership at the University of Kentucky College of Pharmacy. Dietary Supplement Health and Education Act of 1994 Public Law 103-417 103rd Congress National Institutes of Health website. ods.od.nih.gov/About/DSHEA_Wording.aspx. Accessed December 20, 2017. Facts about the Current Good Manufacturing Practices (CGMPs). FDA website. www.fda.gov/Drugs/DevelopmentApprovalProcess/Manufacturing/ucm169105.htm. Updated October 6, 2017. Accessed December 20, 2017. Selected amendments to the FD&C Act. FDA website. fda.gov/RegulatoryInformation/LawsEnforcedbyFDA/SignificantAmendmentstotheFDCAct/def ault.htm . Updated March 29, 2018. Accessed December 21, 2017. Dietary supplements market is predicted to reach $278.02 billion by 2024: Grand View Research, Inc. ABNewswire website. abnewswire.com/pressreleases/dietary-supplements-market-is-predicted-to-reach-27802-billion-by-2024-grand-view-research-inc_166493.html. Published December 5, 2017. Accessed January 11, 2018. Laden R. FDA accuses Colorado Springs dietary supplement maker of improper drug claims. Gazette. gazette.com/fda-accuses-colorado-springs-dietary-supplement-maker-of-improper-drug- claims/article/1598963. Published March 15, 2017. Accessed January 11, 2018. Permanent injunction closes dietary supplement makers. Food Poisoning Bull. foodpoisoningbulletin.com/2017/permanent-injunction-closes-two-dietary-supplement-makers/. Published March 30, 2017. Accessed January 11, 2018.